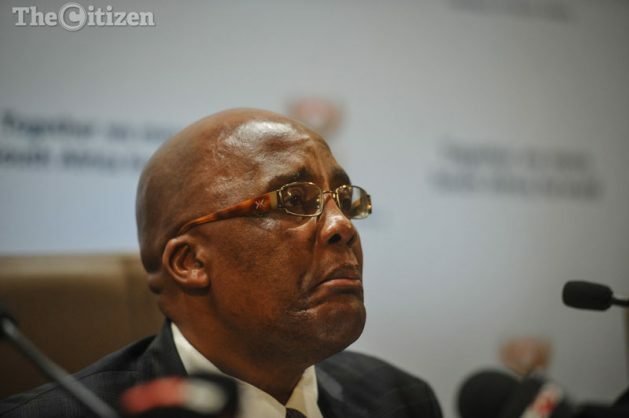 Aaron Motsoaledi also said that the department was busy with the identification and post mortem on nineteen bodies. Seven out of 27 non-governmental organisations (NGOs) that housed mental health patients — after the Gauteng health department ended its contract with Life Esidimeni — have been closed down following the death of 94 psychiatric patients, Health Minister Aaron Motsoaledi said. “Since the closure of the Life Esidimeni and the facilities operated by the NGOs mental health patient were transferred to ten hospitals within the province. As it is 600 mental health patient are under supervised medical care in these hospital,” Motsoaledi said in Pretoria. The 27 NGOs have a total of 42 facilities. Motsoaledi was accompanied by newly appointed Gauteng Health MEC Dr. Gwen Ramokgopa. Motsoaledi said facilities of the remaining NGOs that were housing the Life Esidimeni mental health patients have been assessed and will be closed immediately. Earlier this month, Health Ombudsman, Prof Malegapuru Makgoba, identified former Gauteng health MEC Qedani Mahlangu as a key player in the movement of patients from the Life Esidimeni health care centre to the NGOs. At least 94 psychiatric patients died between March 23 and December 19 last year in Gauteng. All 27 NGOs to which patients were transferred operated under invalid licences. More than 1000 patients were transferred from the Life Esidimeni Health Care Centre to the NGOs in 2015 and 36 of them died within three months of the transfer. During the release of the report Makgoba identified three key players in the project of transferring patients to NGOs, Mahlangu, head of department Dr Tiego Selebano and director Dr Makgabo Manamela. “Their fingers are peppered throughout the project. The decision was reckless, unwise and flawed, with inadequate planning and a chaotic and rushed or hurried implementation process,” Makgoba said at that time. Mahlangu tendered her resignation in the of the release of the report. On Tuesday, Motswaledi said that they were busy with the identification and post mortem on nineteen bodies. “[The SA Police Service] SAPS has started this work as early as September 2016 with forensic investigations and the process to help identify some of the bodies not claimed by relatives,” he said. Families of the deceased blamed the department for the mishandling of the transfers and deaths of their loved ones. Some said they were not informed about the whereabouts of their relatives and were sent from pillar to post by the department. They also blamed the department for not informing them immediately about the deaths and how they had happened.